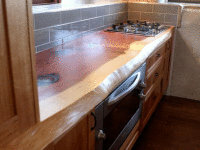 Stivanello Bespoke- Treated with the Kunos countertop oil. Beautiful result! 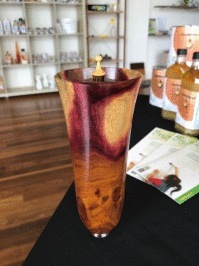 Guy Moschella beautiful vase with an added colour pop of this beautiful resin. The Kunos really makes the timber and resin pop! Kennedy's table - Treated with the certified food safe and heat resistant Kunos Countertop Oil. The Kunos Countertop Oil is certified food safe and heat resistant to 50 degrees. 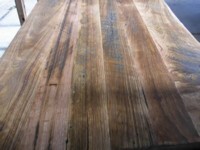 Kennedys table - Recycled timber treated with the certified food safe and heat resistant Kunos Countertop Oil. The Kunos Countertop Oil is certified food safe and heat resistant to 50 degrees. Highlighting the natural colour of the timber. 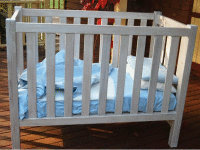 Organature Cot - Treated with our environmentally friendly White eco paint. The Vindo #629 is a natural gloos paint wheras the Canto #692 is matt and both are baby safe. Organature Cot Clear - Creating a healthy living environment. All products are baby safe and aid in creating a healthier living environment for you and your family. 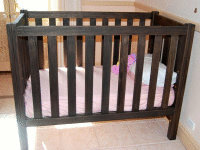 Organature Cot - Stained with our Smoked Oak non toxic wood stain. Organature Cot - Stained the grey non toxic wood stain. 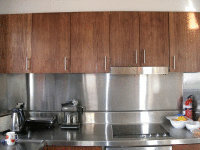 Kitchen Bench top - Treated with the certified food safe and heat resistant Kunos Countertop Oil. Kunos Countertop Oil is certified food safe and heat resistant up to 50 degrees. Tide design Dining Table - treated with Kunos. Treated with Kunos - avaliable in various stains. Here the clear and white is shown. Natural Bedding Company - Creating a healthy living environment. 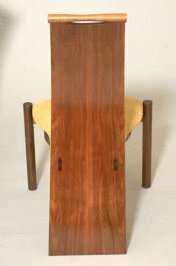 Blackwood "Kyudo" Chair - Treated with Livos Natural Furniture oils. 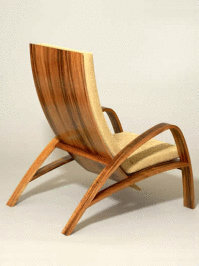 Blackwood Chair "Wave" - Treated with Livos Natural Furniture oils. Treated with Livos oils. 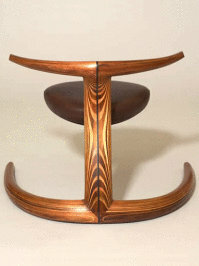 Designed and made by Robert Skilleter at the Australian School of Fine Furniture. University of Tasmania. 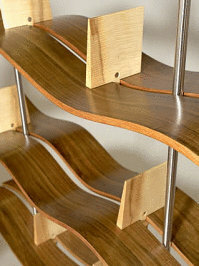 Blackwood & Huon Pine "Strait" Shelves - Treated with Livos Natural Furniture oils. 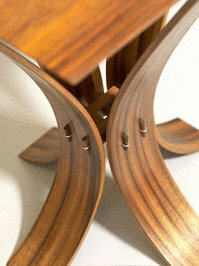 Designed and made by Simon Zablotsky at the Australian School of Fine Furniture Tasmania. Treated with Livos Kunos natural oil. 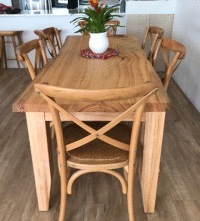 Blackwood "Curly" Table -Treated with Livos Natural Furniture oils. 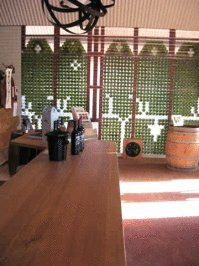 Organic winery - Clients comment "The Livos bench top oil has even exceeded our expectations". Bench top treated with 3 coats of Kunos Counter top oil #243. Clients comment - The Livos bench top oil has even exceeded our expectations as it is not affected in any way by spillage of our wines. They wipe up without a trace. 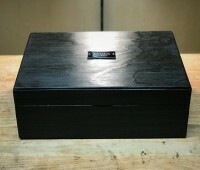 Blackwood Textile Box - treated with Kunos. 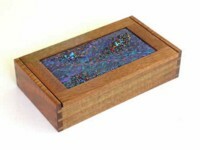 Timber treated with Kunos, Beading by Liz Scobie. Made by Neil Scobie. 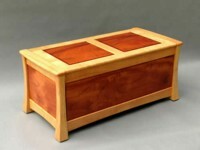 Blanket Box. 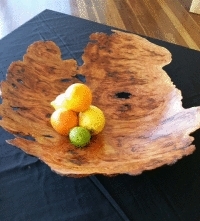 Red Cedar & Silky Oak - Treated with Kunos. 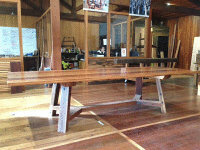 Recycled table top - Stained using the Kunos Natural Oil sealer in Smoked oak. 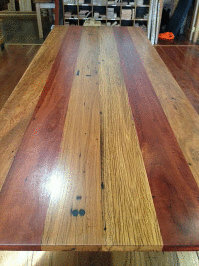 Recycled hardwood table top stained using the Kunos Natural Oil sealer in Smoked oak. 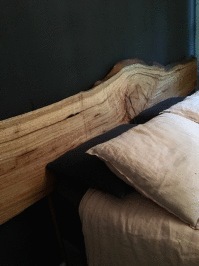 This highlights the rough indentations of the timber giving the furnitue piece a special effect. 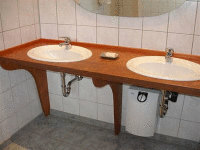 OSB Vanity - Treated with Kaldet non toxic wood stain and Kunos Natural Oil Sealer. 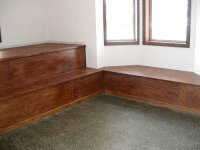 Treated with Kaldet Dark Teak Transparent Wood stain then with the Kunos Natural Oil Sealer. Concrete -Treated with Linus priming oil and 2 coats of Kunos clear. 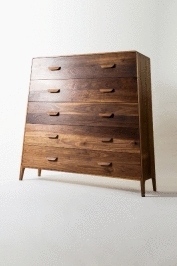 Ply-treated with Kaldet Rosewood stain.